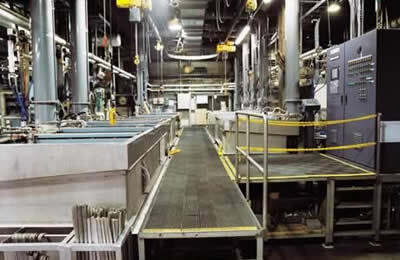 Our company has been a leading & trusted pioneer in the plating industry for over 50 years. 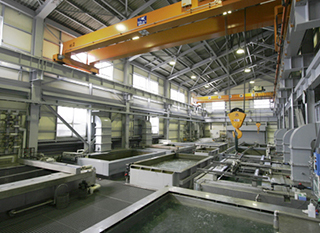 With our large scale electroless nickel plating facilities, we have accumulated valuable knowledge and experiences through dealing with plenty of contracts and projects. 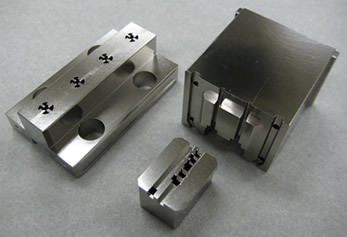 We specialize in plating on the parts for semiconductor fabricating equipments. In addition, we continue to develop our business by working with new types of materials, collaborating with our esteemed customers. 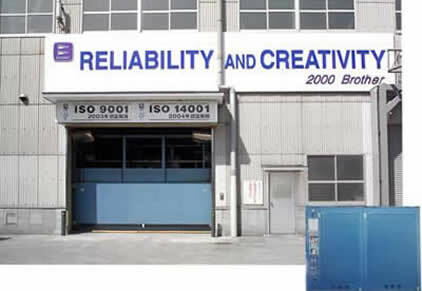 We are progressive, Research & Development oriented company which embraces “RELIABILITY AND CREATIVITY” as our motto. We have big plating tanks with dimension of 4000Wx2000Lx3000D and traveling cranes with maximum loading capacity 10 tons. 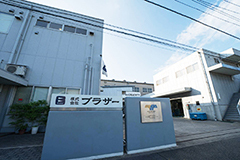 In the year of 2009, Kawasaki City and Kawasaki CCI authorized our production facility and processing technology as [Kawasaki Brand]. Also the word of [MEGANICKEL] was registered in 2001 by Japan Patent Office. 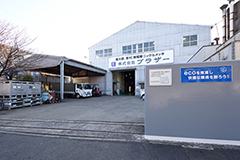 Brother Co.,Ltd. succeeded in development of a black electroless nickel plating process, FINE BLACK®, which is specially formulated to meet the ELV, WEE, and RoHS directives. This new technology enables uniform plating. and is applicable to complex form articles. FINE BLACK® has a light reflectance of < 6%, hardness of 400Hv (60HRc) and thermal resistance up to 200 ℃. Someone says that Mold is a King of Production Engineering. But with the aging,mold itself causes natural wear and tear, deformation and drain and therefore, we recommend to plate on the surface of the mold by Electroless Nickel Plating Process to prevent any of above damages. 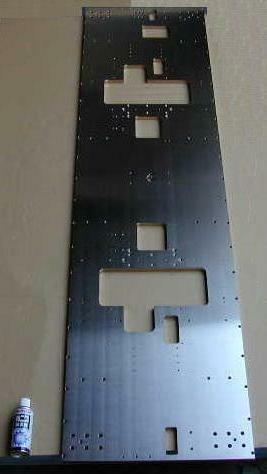 We are able to supply our clients after this plating with thickness over 300micrometer on molds with pin hole free. We also developed our own established process for plating on carbon. Carbon is widely used for semiconductors and FPD production Equipment. However, carbon usage is limited due to dust power originating from its surface. By plating on carbon, generation of such dust powder from surface can be prevented, enabling the material to be used in a clean environment. Please contact us for more detail. A ring heavily plated with a thickness of 80 microns of electroless nickel. 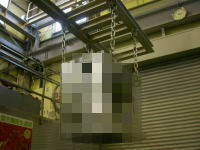 The ring has a diameter of approx.850mm. Ceramic materials have many advantages, including stable tolerance, good insulation, thermal conductance and temperature resistance. Therefore, use of ceramic materials is rapidly expanding. We developed our own plating process for ceramics, which enables us to plate adherent and thick electroless nickel coating on ceramics. The thick and hard nickel coating can be mechanically polished with high precision, resulting in smooth surface. 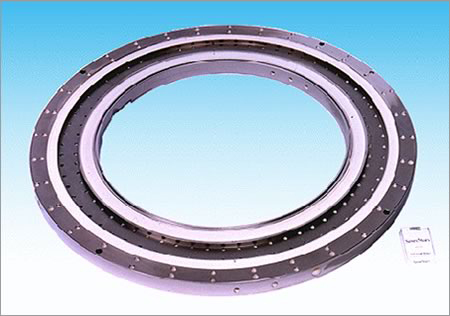 We can also deal with large products, whose dimension exceeds 3m in length. Plating on various type of ceramics, such as alumina and aluminum nitride is also possible. A primary purpose of using aluminum is to save weight, but aluminum alloy lacks corrosion and wear resistance. 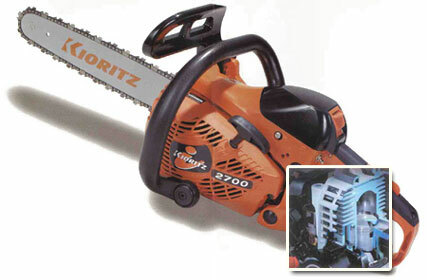 Therefore protective and hard coating is required, especially for engine parts. We have developed a special process for hard chrome plating on aluminum alloy with reliable quality. Since the requirement for engine parts are severe and demanding, we employ thorough quality control measurements of such important quality as hardness, dimensions and film thickness, thereby gaining the full trust and confidence from our customers. With the upsizing of Semi-conductor and Liquid Crystal Production Device of our clients, we also invested on the upsizing plating tanks of electroless nickel plating to the effective size of 1,200 X 1,100 X 500mm. 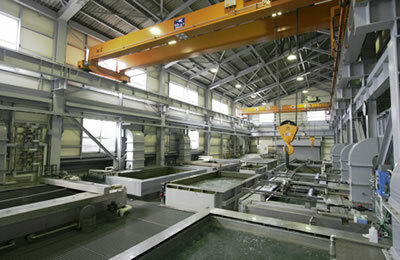 Aluminum is easy to produce an oxidation film and it is difficult to do direct plating processing and therefore, we applied zinc immersing plating process on aluminum materials and achieved high coherency and after this process aluminum materials could perform better corrosion resistance, with hardness and higher quality. The field of aluminum has widened its sphere of activity from our familiar product to a variety of industrial fields. This is because the strength-to-weight ratio of aluminum is large with 2.7 in the specific gravity, and can be lightened to about 1/3 or less compared with iron and copper material, which makes it possible to use it as a variety of structural materials. 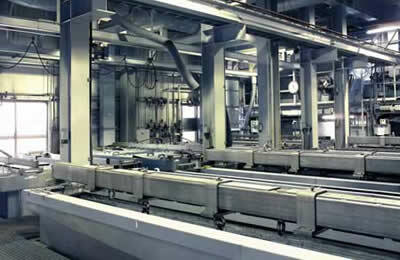 The film can form with a uniform thickness by giving the electroless nickel plating on aluminum over the entire parts. The hardness can be raised up to HV800 by heat treating after the plating process. Because of the recent necessity of electroless nickel plating processing on large scale aluminum products, we have completed a special line only for large scale aluminum, in order to fulfill customers demand. 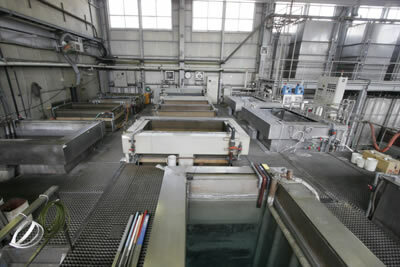 There are 2 large tanks, each with the size of 2,000×1,000mm and 3,000mm in depth, which makes it possible to plate on aluminum ware with maximum effective size of 1,800×950×2,500mm. Please cousult if you wish to plate on aluminum materials, and we will do our best to make you satisfy. Uniform Plating, leading to precise tolerance! 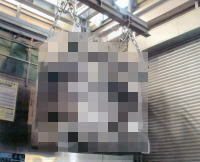 With one of the largest furnaces in Japanese plating industry, we can ensure an efficient baking process. Baking process ensures an improved adhesion and eliminates hydrogen embrittlement of the plated parts by dispersing the enclosed hydrogen which generates during plating. 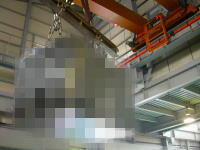 The heat treatment for this purpose is usually carried out at the temperature of 250 ℃. Hardness of electroless nickel coating (HV 500-550 as plated) is improved by the heat treatment at higher temperature. For example, hardness of more than HV800 can be obtained using a high temperature of 350℃. Even higher temperature may be used depending on the type of material and shape. Please contact us, and we will make every efforts to meet your requirements. We have plural number of production lines that can plate on from a pin to a large-sized part with 2000(width), 3000mm (depth) and can plate on the aluminum materials to ceramics. It is easily possible to plate on the parts of semiconductor device with precise and super uniform thickness. In order to stabilize the quality of the plating, we have installed fully computerized analyzing and supplying equipment for plating chemicals. Wear resistance and strong hardness: Vickers hardness HV500 and HV1000 (after heat treatment) and it is hard to be worn out. Uniform plated thickness and dimensional stability. It differs from electro plating and plating will be made very uniformly at any point of the products. Corrosion resistance: There is very few pin hole even thinner plated thickness and thanks to the uniform plating, corrosion resistance will be made on the materials of steel alloy, copper alloy and aluminum alloy equal to stainless materials. Soldering is possible: Soldering characteristic will be given even on the materials of aluminum and ceramics. With our facilities for electroless nickel plating, we have accumulated valuable knowledge and experiences. 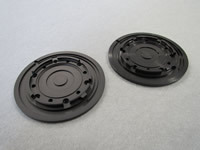 We specialize in plating on the parts for semiconductor fabricating equipments. 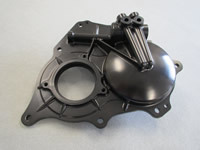 In recent years, demand on large scale parts has become popular. 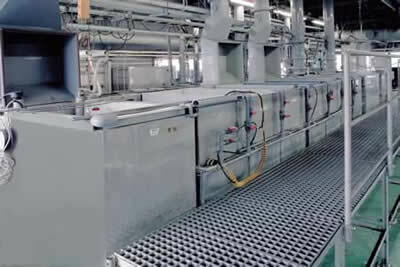 Therefore, we have constructed a "Super Large Electroless Nickel Plating Line", using our experience on large scaled plating facilities. This super large line enables higher quality plating than ever. In addition, we continue working with new types of materials collaborating with our esteemed customers, and are waiting for consultation and orders. Copyright(C) 2005-2018 Brother Co.,Ltd. All Rights Reserved.